Evelyn Beatrice Hall wrote: I disapprove of what you say, but I will defend to the death your right to say it. Cherry is being slowly sliced to ribbons for simply giving his opinion (something Hank Williams Jr. can relate to these days). And I’m getting really sick of it. If you don’t like what Cherry says, don’t watch. It seems like every two or three months now Don Cherry has his face held to the fire for giving an opinion – which, of course, is what he’s paid to do. 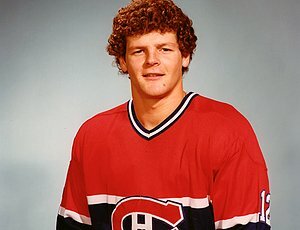 The latest is Cherry’s reference to former NHL tough guys Chris Nilan, Jim Thomson and Stu “The Grim Reaper” Grimson as “pukes,” “hypocrites” and “turncoats.” This trio of former fighters are being centred-out by Cherry because they have, according to Don, indicated recently that fighting should be taken out of hockey. Of course, many former NHL players are beginning to feel this way – and speaking out – because the medical community has begun to provide concrete evidence that blows to the head have a lasting impact on a person’s quality of life. Even Rick Martin, a former NHL non-fighter who died last March, was posthumously diagnosed with stage 2 chronic traumatic encephalopathy (CTE). The evidence is mounting quickly and furiously. 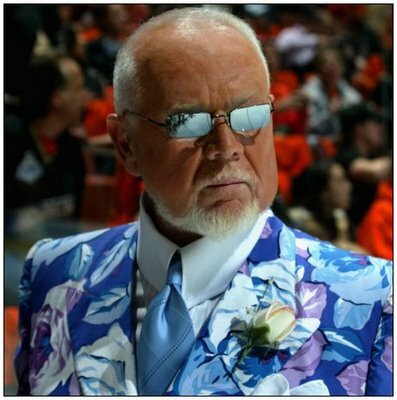 Don Cherry is 77 years old. Would you expect a 77-year old man – a former minor-league hockey tough guy (over 1,000 minutes in 767 AHL games) – to sit down and pore through volumes of medical information, then deliver an objective opinion? Of course not. The guy will never, ever say anything other than fighting is a big part of hockey and it belongs in the game. This is the same Cherry who, when his Mississauga IceDogs joined the Ontario Hockey League in 1998, refused to draft European juniors. He flatly said no. It put the IceDogs at a deficit in the OHL for years. Chris Nilan had no problem dropping the gloves when he played in the NHL. Now, he's upset by Don Cherry's characterization of Nilan's change in viewpoint. What bothers me is that, in this ridiculously politically-correct world, Cherry can’t speak his opinion without several groups, and thousands of individuals, raining hate down on him. It’s his opinion. He’s entitled to it…just like you are entitled to yours. Do I like what Cherry says all the time? Nope. Sometimes I hate it. Last season, he used the word “chickens**t” on the air. Completely inappropriate for a show that young people may be watching. He should have been made the apologize, on air, immediately. Never happened. CBC knew it was wrong. They wiped the audio on the offending word before posting that night’s Coach’s Corner on their website. Do I think the game has passed Cherry by? Yep, it sure has. It passed him by about a decade ago. If CBC’s Kirstine Stewart wants to replace Cherry on that basis, she should go for it. But this picking apart of every little statement Cherry makes is absolutely ridiculous. If you don’t like Don Cherry, don’t watch Coach’s Corner every Saturday night. If you think all this nitpicking is going to make the old man change his mind – or even apologize for what he says – it’s not going to happen. Just enjoy Don for what he is, and always has been (even behind an NHL bench)…an entertainer. And nothing more. Thank God that for every Don Cherry bottom feeder-type there’s a guy like Sid who reminds us why we love this game. Kudos to the networks for bringing us the Pens-Isles game on short notice. It was a fun watch.